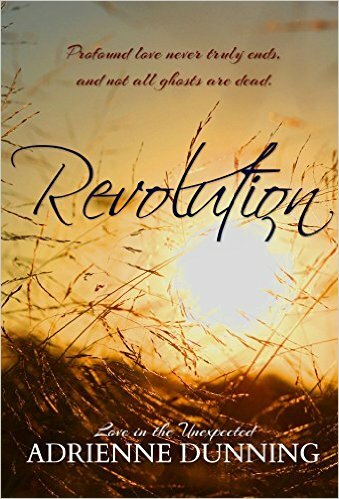 Revolution is LIVE on Amazon!! A woman on the run. A man devastated by a past marked with tragedy. Neither would ever have imagined their lives would change because of a war fought over two centuries ago. Nate Emerson has spent the last few years wrapped in grief. It’s a weary burden, but one he has inevitably come to accept. Unexpectedly, Nate finds the walls he built around himself tested when confronted with a stranger at his family’s colonial homestead. Could she be the one to show him how to finally let go of the past? Meg Grey finds herself at loose ends in the historical town of Yorktown, Virginia. Fleeing from a life she’d sooner forget, she simply wants to remain invisible. Spending a few weeks in an old farmhouse on the boundary of a Revolutionary War battlefield seems like the best way to accomplish that, yet Meg soon discovers that she isn’t alone in the old, neglected home. Sights and sounds that can’t be explained. Shadows and apparitions. Will the spirits of revolution draw two people together, or will forces beyond their control keep them each imprisoned with their own personal demons? “This was an amazing story of true love. Of fate stepping in at the right time and putting people right where they were always meant to be. This story is unlike any that I have read in the past. I really enjoyed the historical aspect I felt like I was transported into the past and was living the story right along with the characters.